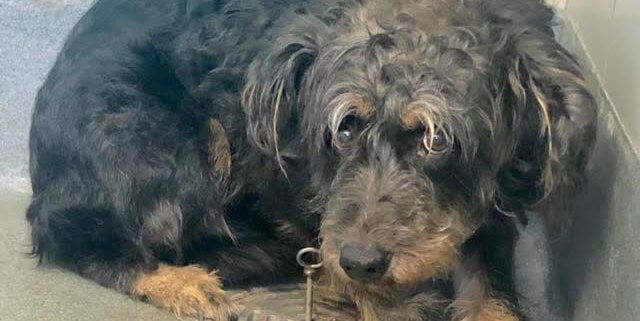 A scared, old dog is on the list of animals scheduled to be put down at a busy Texas animal control agency. The nine-year-old dog, named Lady (ID#512408) is undoubtedly confused over her current situation. Lady is a beautiful dog that just isn’t sure what is happening around her. This poor ol’ gal should be in a comfy bed somewhere getting loved on. She’ appreciates a real connection and just wants a home where she will feel loved. Lady is about 45 lbs and is 9 yrs old. THIS DOG IS IN ACS KENNELS & ON THE EUTHANAISA LIST. SHELTER EVALUATES SPACE AT: 9:30 am Mon-Sat, and again at 5 pm Mon-Fri & 3 pm Sat. You can help Lady find her way to a safe and loving home by sharing her adoption information. Networking saves lives! 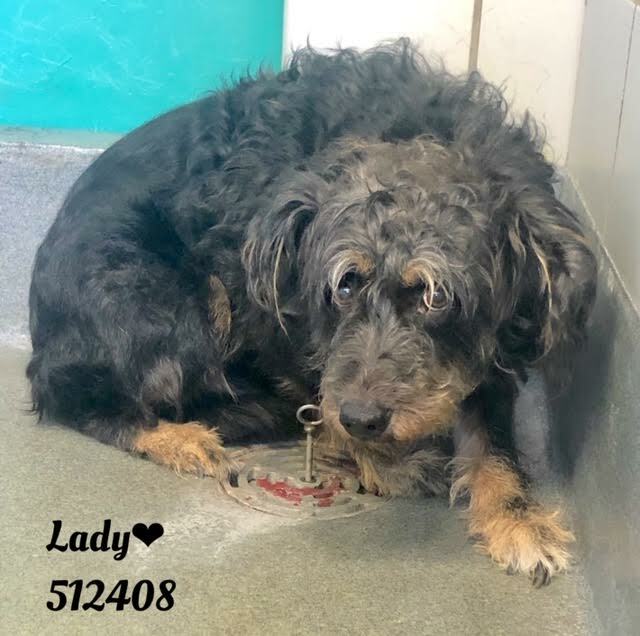 Please help Lady find a kind, safe home. Yesterday: Woman’s stolen dog found dead in a suitcase – more here. More: Teen faces huge fine for illegal killing of a moose – more here. Wow, giant octopus engulfs scuba diver! PLEASE–we CANNOT let this beautiful “Lady” be KILLED! I think she is still there. Please contact them ASAP! Poor Lady!! U don’t even belong there!!! U will b in my prayers pretty girl!! I will share and pledge if necessary if someone rescues!l Please someone adopt or rescue! I would take her in a heartbeat but I am in Northern California……..
She deserves a furever home where she will be a treasured family member (like our precious treasure MacKitty). I would give anything to be able to cuddle and snuggle with MacKitty (I know he’s in Heaven with my Dad and our other furbaby angels, but his loss is still very painful). I can’t imagine ever giving up, let alone abandoning, a senior furbaby…….. The POS’s who abandoned this precious little treasure will burn in Hell forever for their cruelty…….